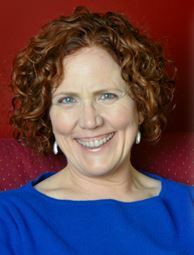 An Interview with Mary Johnson, former nun and author of An Unquenchable Thirst. With a new Pope at the helm, the Catholic hierarchy has set about to polish its tarnished image. Can an increased focus on the poor make up for the Church’s opposition to contraception and marriage equality or its sordid financial and sexual affairs? The Bishops can only hope. And pray. And perhaps accelerate the sainthood of Agnes Gonxha, better known as Mother Teresa. The question, however, was more than a little ironic. The team of academics from the Universities of Montreal and Ottawa set out to do research on altruism. In the process, they reviewed over 500 documents about Mother Teresa’s life and compiled an array of disturbing details about the soon-to-be saint, including dubious political connections and questionable management of funds—and, in particular, an attitude toward suffering that could give pause to even her biggest fans. Even her critics mostly believe that Mother Teresa was devoted to God as she understood him and that she was devoted to serving the poor. And yet, it would appear that her institutions have offered a standard of care that would provoke international outrage if it were provided by, say the United Nations rather than an affiliate of the Vatican. How are we to understand this paradox? Mary Johnson is a former nun who joined Mother Teresa’s order, the Missionaries of Charity, at age 19. For the next twenty years, she lived a life of service and austerity among the sisters, which she has described in her memoir, An Unquenchable Thirst. But beneath the stark simplicity of her daily routine stirred a host of emotional, interpersonal and spiritual complexities, including the order’s tangled view of love and pain. Johnson’s thoughtful observations offer a window into the woman who inspired her spiritual vows and who ran her order of women religious. Mother Teresa has inspired millions to acts of sacrifice or service, much as she inspired you. But even as the Catholic Church moves toward making her a saint, others are saying she was a fraud. Your book suggests something more complicated. Johnson: One of the reasons I wrote An Unquenchable Thirst was that none of the images of Mother Teresa in the media corresponded with the person I knew. The mainstream media created an image of Mother Teresa that reflected our desire for a perfect mother more than it reflected who Mother Teresa really was. On the other hand, those who called her a fraud often seemed determined to discredit her because they want to discredit religious faith. I very much admire the fact that Christopher Hitchens, who had been one of Mother Teresa’s most adamant critics, eventually revised his assessment of her. The Mother Teresa I knew was a remarkably dedicated, self-sacrificing person, but not one of the wisest women I’ve known. Both empowered and shackled by religious faith, Mother Teresa was generous and unreasonable, cheerful and never content, one of the world’s most recognized women and one of its loneliest and most secretive. As a postulant in the Missionaries of Charity, one of your superiors, Sister Dolorosa, told you, “Mother always says, love, to be real, has to hurt.” Did you believe that? Johnson: In the beginning of my life as a sister, I tried my best to believe what I was told, including that the greatest sign of love was Jesus’ sacrifice on the cross. I’d never known the sort of mutual love in which two people rejoice in each other, strengthen each other, enjoy each other. I do believe that true love is willing to suffer for the beloved when necessary, but I don’t believe that suffering is the truest or best sign of love. I certainly now reject the notion that love demands the immolation of self for the beloved, though that’s something Mother Teresa seemed to believe all her life. Johnson: The Missionaries of Charity set out to live like the poor they serve. We each had two sets of clothes, which we’d wash by hand every day in buckets. We are rotting vegetables and stale bread that we’d begged from wholesale grocers. We slept in common dormitories, without any privacy, on thin mattresses we’d made ourselves. Living poorly day by day convinces you that life is hard. For a Missionary of Charity, ideal love was self-sacrificing, even to the practice of corporal penance. Johnson: When I took that rope whip into my hands, I was scared, I was excited, I hoped that I was on my way to conquering my selfishness and becoming a holy person. When you visit the homes and shrines of various saints, you often see hair shirts or whips or spiked chains on display. This is a religion in which nearly every house of worship, classroom, and private home has as its most prominent feature the image of a bloodied, tortured man. We were taught that wearing spiked chains and beating ourselves allowed us to share in his work of redemption. I know it doesn’t make much sense when you say it just like that, but within that entire system it had its own weird logic. After Mother Teresa’s death, the public learned of her struggles with anguishing doubt. You quote the words of a priest who comforted her with words that glorified her pain: “Your darkness is the divine gift of union with Jesus in his suffering. Your pain brings you close to your Crucified Spouse, and is the way you share His mission of redemption. There is no higher union with God. Johnson: I often wish that Mother Teresa had found someone who would have encouraged her to look at her doubts honestly, to examine them, to confront them. But instead of finding someone who encouraged her to think for herself, she found Father Joseph Neuner, SJ, who spun Mother Teresa’s doubts in such a way that the doubts themselves were deemed a sign of her holiness. 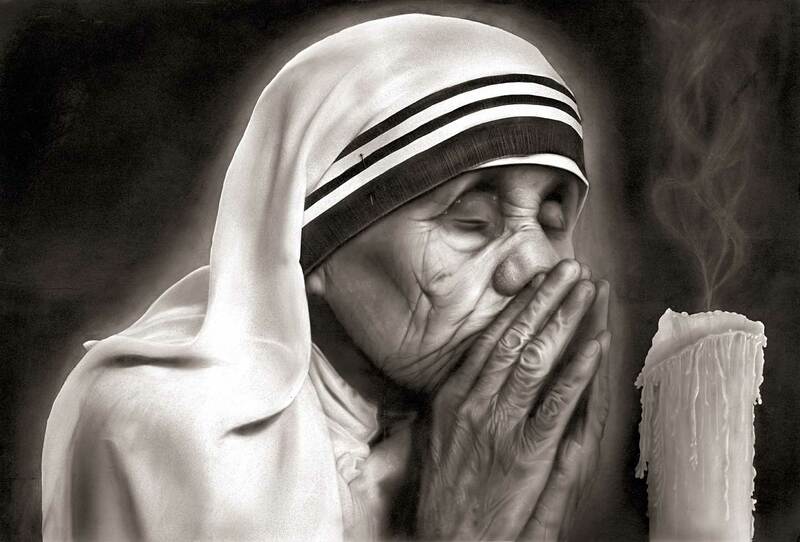 I believe that the anti-intellectual bias of the Missionaries of Charity can be traced to the day that Mother Teresa was told that the content of her doubts was something she ought never explore. We all tell ourselves stories that help us cope; wisdom looks at those stories and knows how to distinguish the true stories from the coping mechanisms. Mother Teresa swallowed the stories whole. Help us to understand the theology under this mindset. Johnson: Ah, Valerie, theology is a story that seeks to explain things. In the Catholic Church, official theology is determined by the hierarchy, who have a vested interest in keeping things as they are. When Mother Teresa admitted to the priests and bishops who were her spiritual directors that she was tormented by feelings of distance from God and by doubts in God’s existence, these priests and bishops didn’t want to encourage real questioning; they probably didn’t even give themselves permission to question deeply. Unquestioning faith enables the system to continue undisturbed. Official theology often serves politics. In this particular case, Father Neuner taught Mother Teresa to reframe doubt as a sign that she had drawn so close to God that she shared the agony of Jesus, who cried from the cross, “My God, my God, why have you forsaken me?” Mother Teresa’s doubts did not therefore require examination, but a greater, unquestioning faith. The adoption of such a dogmatic stance proscribed any questioning of the Church’s teachings, including those that caused such suffering to those Mother Teresa served—like prohibitions against birth control and the effective relegation of women to second-rate status in the Church. When these priests convinced Mother Teresa never to question, they were molding her into one of the most outspoken proponents of official Church teaching. The same thing happens on a smaller scale whenever a member of the faithful is taught that reason must be subjugated to belief. Because of her opposition to contraception and her seeming disinterest in modern medicine, some have called Mother Teresa a friend of poverty rather than a friend of the poor. How do you see that? Johnson: Most people today would say that we help the poor by helping them out of poverty. That was never Mother Teresa’s intention. Mother Teresa often told us that as Missionaries of Charity we did not serve the poor to improve their lot, but because we were serving Jesus, who said that whenever service was rendered to one of the least, it was rendered to him. Jesus promised eternal life to those who fed the hungry and clothed the naked. Mother Teresa was undeniably interested in reserving a really good spot for herself behind the pearly gates. I remember once when we were having dinner and a sister was serving water for the other sisters. Mother Teresa stopped the table conversation to point to that sister and tell us, “Jesus knows how many glasses of water you’ve served to the poor. He’s counting. When you get to heaven, he will know.” I do believe that Mother Teresa had a great deal of compassion for the poor, but it’s hard to deny that she was more interested in improving everyone’s lot in the next life than in this one. 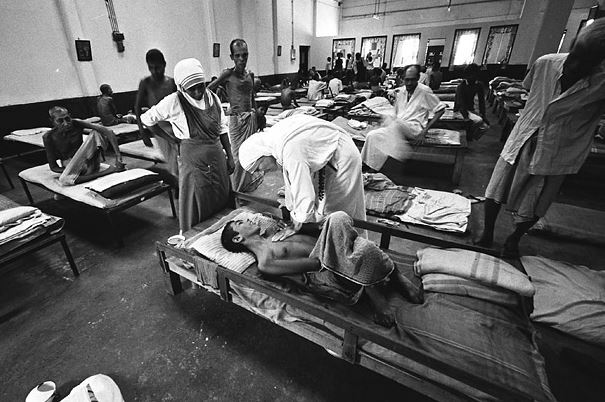 The enthusiasm for Mother Teresa’s life and work doesn’t seem to jibe with the conditions in her homes for the sick and dying. My husband and I support relief agencies like Oxfam, PATH, Water 1st and Engender Health, and like many secular donors we take time each year to make sure they are making smart use of appropriate science and technology. Why don’t supporters hold the Missionaries of Charity accountable? Johnson: Supporters of the Missionaries of Charity are often theologically similar to the sisters, interested not so much in the (to their minds) short-term goal of helping the poor as in the long-term goal of getting everyone to heaven. It’s a little bit like certain evangelical Christians who look forward to nuclear holocaust in the Middle East because they believe devastating war will herald the end of the world and the union of all the good with God. Toward the end of your book, you say, “So much depends on the stories we tell ourselves, and on the questions we ask, or fail to ask.” The words are a comment on Mother Teresa and her response to doubt, but I can’t help but think they also are a comment on your own journey. Johnson: I’ve learned that every question is worth asking, even when answers elude us. I’ve learned that the stories we tell can help us live more firmly in reality or they can create an alternate reality that causes us to relate to the world in a distorted way. When I allowed myself to question the stories that I’d been told, I could finally begin to live in the real world, and I can’t tell you how liberating that felt, how freeing, how wonderful. Faith teaches you all the answers; it doesn’t tell you that those answers may be wrong. I prefer to live with the questions, and with stories that mirror the world as I experience it rather than as I’d like it to be. I wrote An Unquenchable Thirst in hopes that if I were honest about the story of my life, then I could perhaps encourage others to be honest about their lives as well. Gallery | This entry was posted in Musings & Rants: Christianity and tagged Carole Sénéchal, Catholic harm, Catholic health care, Genevieve Chenard, masochism, Missionaries of Charity, Mother Teresa, Serge Larivée. Bookmark the permalink. Again Thank You ! v.
Thank you very much for this interview. In my view, charities that ignore suffering are like corporations that exploit labor. Pingback: Washington Liberals - Will the Catholic Bishops Decide How You Die? Saw the link to this piece from your recent blog post. Loved it. I never learned all this about Mother Theresa! I hate when Christians ignore or attempt to justify suffering as some sort of “God’s Will”! Thanks, Tiffany. I hate it too. She was a complicated person, who did tremendous good thanks to her compassion and devotion and tremendous harm thanks to her adherence to archaic theologies that sanctify suffering and teach even the poorest of the poor to “let go and let God” handle their family planning. I personally find it painful to think that a person of such devotion and good intent could possibly have caused even more suffering than she alleviated–and certainly more suffering than was necessary–because of her trust in these archaic teachings. archaic teaching? what? more like powerful energy, devotion, loyalty, I’m sorry that it’s true that some people who are in different orders, either of nuns or priests have been abused and mislead, to the point of this. It’s OK, I understand. But sill, Mother Teresa is a hero of mine. An example of action faith. I’m sure there were some people in her order who didn’t belong there and may have impressed negativity upon some postulants. Sorry for your negative experience within this order. Bless you for he service you find yourself in now. God Bless You Richly. Individuals like Mother Teresa frighten and anger the armchair crowd. In a different age she may well have been burned at the stake for her daring. She frightens because she did something; she didn’t just write books and do TV interviews re: what she felt strongly about. It’s easy to vilify someone you don’t like. In a much smaller circle than MT’s, I’ve been there and felt the sting of public opinion having its smarmy hypocrisy exposed. I expected it, so water off a duck’s back, but I’m reminded when I read the calumny heaped upon her by those who never took one step in her sandals. I admire Mother Teresa, warts and all, simply because she demonstrated self-empowerment and went against the grain of acceptance with what knowledge she had. What we need is not the destruction of MT’s efforts, but other individuals, with a different understanding, to take her place and spread the good she was trying to do. So the fact that this woman withheld pain relief and other medication from her patients, because it would bring them closer to God, is OK with you? I’m sorry I just realized that there were 2 people involved in the mother Teresa article, The interviewer and the former nun. When I was looking at your blog I realized it. It’s then interesting that you associate “Let Go and Let God” with birth control. Yes, I’m very pro life, Abortion STOPS a beating heart. I have 6 children and 5 grandchildren. I am 61 years old and personally know women who have lived with emotional trauma their entire adult life after having an abortion. I DO NOT judge them. Only by the grace of God I did not experience that. THAT is the part of abortion that needs to be addressed. A 10 minute counseling session before the Dr. aborts does not prevent the PTSD that many women feel. I can’t save the world as any of us can. It’s only my experience to have known such women. I’ve been coping with a friends nightmare for over 20 years as her confidant. Thank you again for your blog. Most women do not experience regret or trauma symptoms after an abortion, but it makes sense that a woman would if the abortion is a violation of her own desires and moral or spiritual values, and I am sorry for your friend’s sense of trauma and loss. As for myself, I have only gratitude for my abortion, as my beloved daughter could not have existed in that alternative history. Mousetraps stop a beating heart, as do fly swatters, so I perceive that as a poor measure of the value of a life. The life I myself value is life which is self-aware, capable of delight and pain, wonder, curiosity, and love. Thank you for your kind words. I spoke one Sunday at a small church near me on not making blanket judgments about people. I used two examples, one of a person viewed universally as evil and listing many stellar things this person had done. The second person was widely viewed as a wonderful person and a saint, and I talked about misappropriate of funds and some other things which we awful. The first person was Adolf Hitler. The second was Mother Teresa.